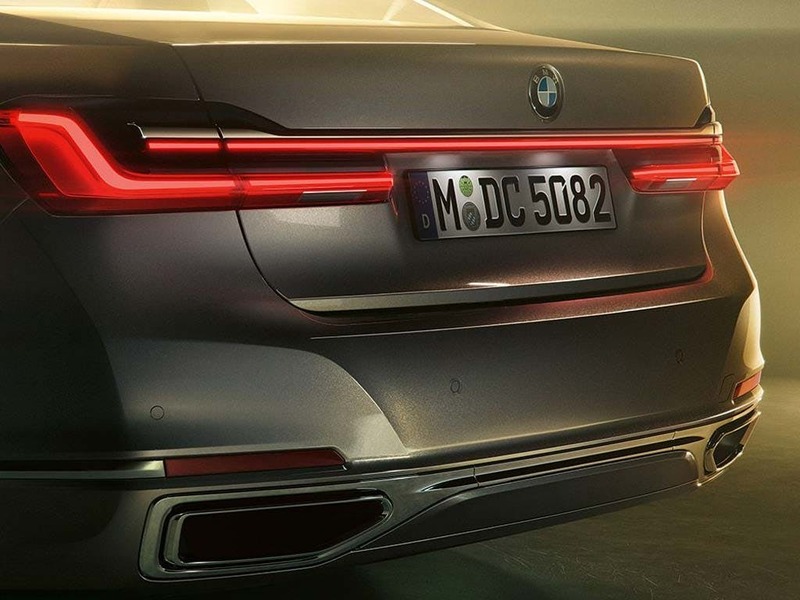 Open the door to a world of limitless driving pleasure with the new BMW 7 Series Saloon. 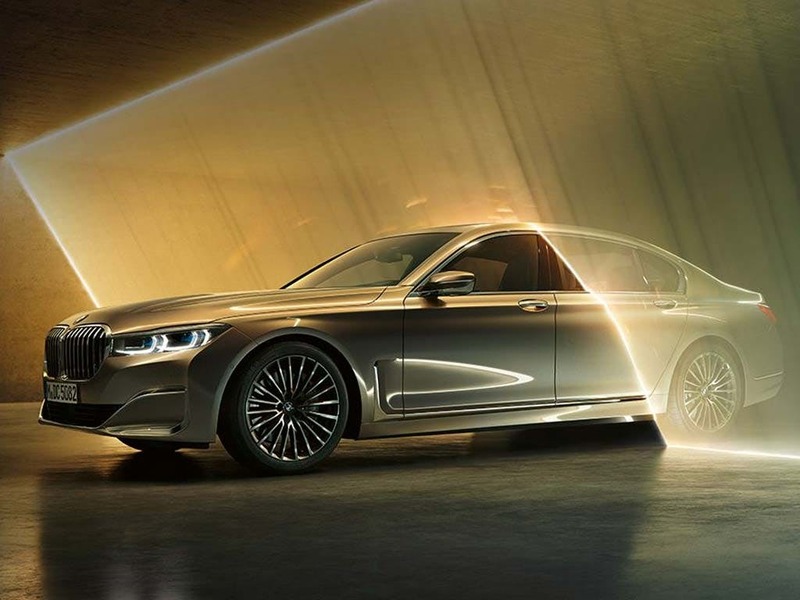 Take to the road in luxury and relish the refined power that awaits in the 7 Series Saloon. Flawlessly crafted, the new BMW 7 Series Saloon assures an authoritative presence with a top speed of 155mph. 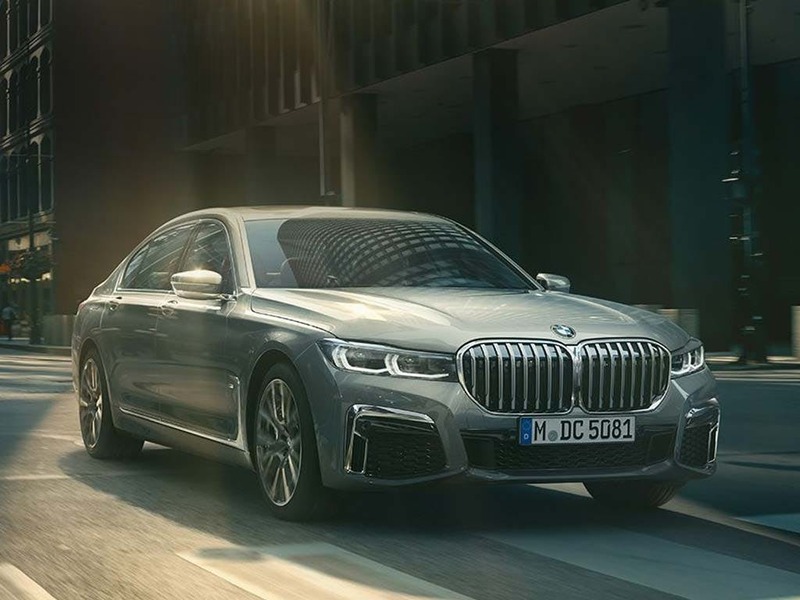 Discover driving luxury at its finest with the new BMW 7 Series Saloon. Visit your nearest BMW dealership in Bedfordshire, Cambridgeshire, East Sussex, Hampshire, Hertfordshire and London for a test drive. Discover all the latest BMW 7 Series Saloon offers currently available. 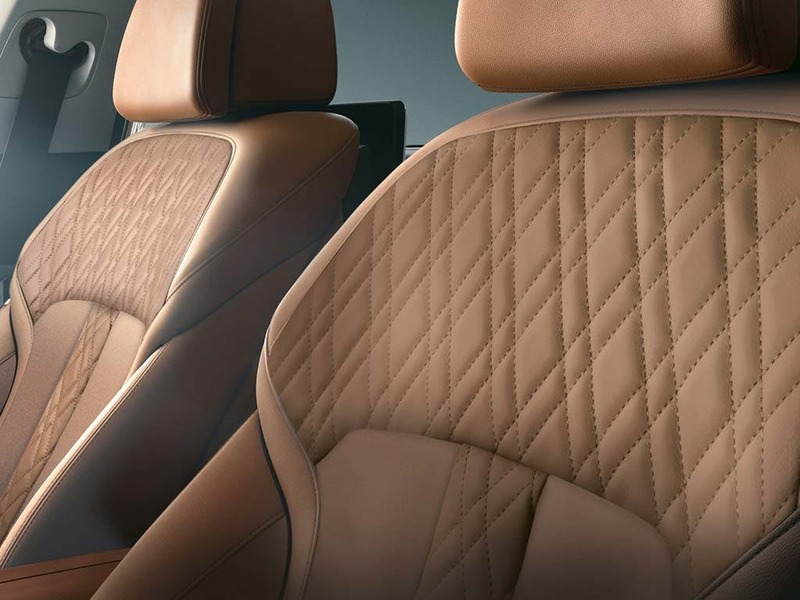 Every detail matters, view the BMW 7 Series Saloon technical specification. Download the latest 7 Series Saloon brochure. Transport yourself to a world of luxury with the new BMW 7 Series Saloon. 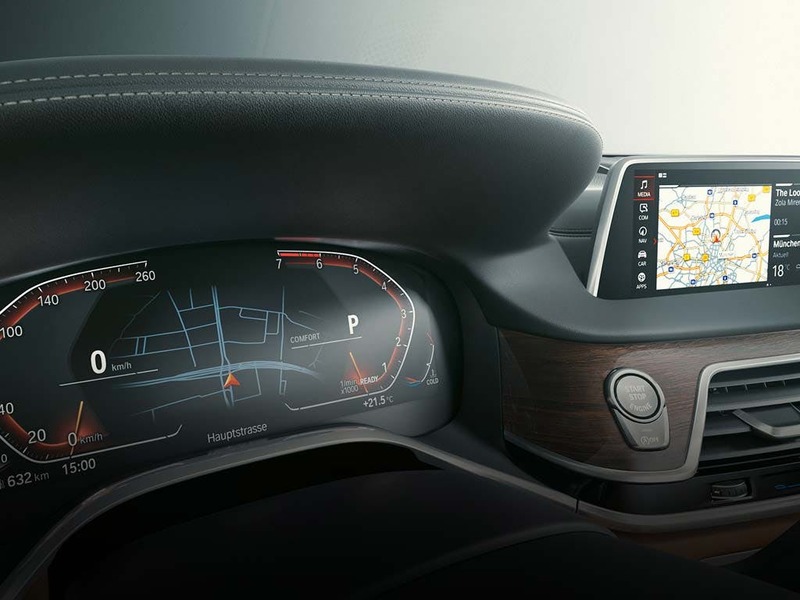 The unique leather steering wheel and illuminated door sill inlays let you know you’re in a top-class BMW, while the electrically adjustable front comfort seats with memory function provide luxurious support. Invigorate your muscles with front and rear massage seats for the most relaxing ride of your life. 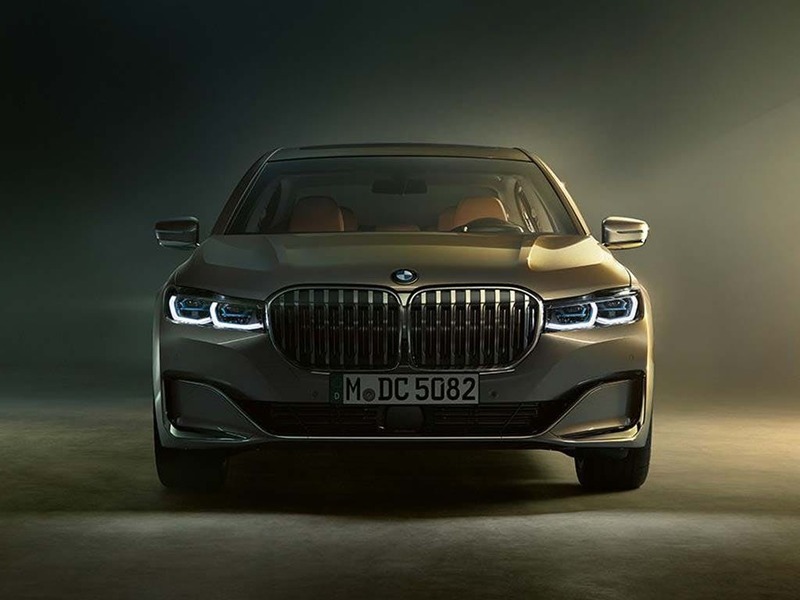 Embark on a journey of innovation and opulence, as you take to the wheel of the new BMW 7 Series Saloon. A car built for chauffeur level comfort, the new BMW 7 Series Saloon’s extended dimensions allow for more room than most BMW’s. Genius engineering provides a body that is an incredible 5,238mm long and 1,902mm wide. Designed around space and comfort, the four-seater has more legroom than most saloon cars on the market. The 515-litre boot will easily accommodate plenty of luggage, so you to go further than ever before. 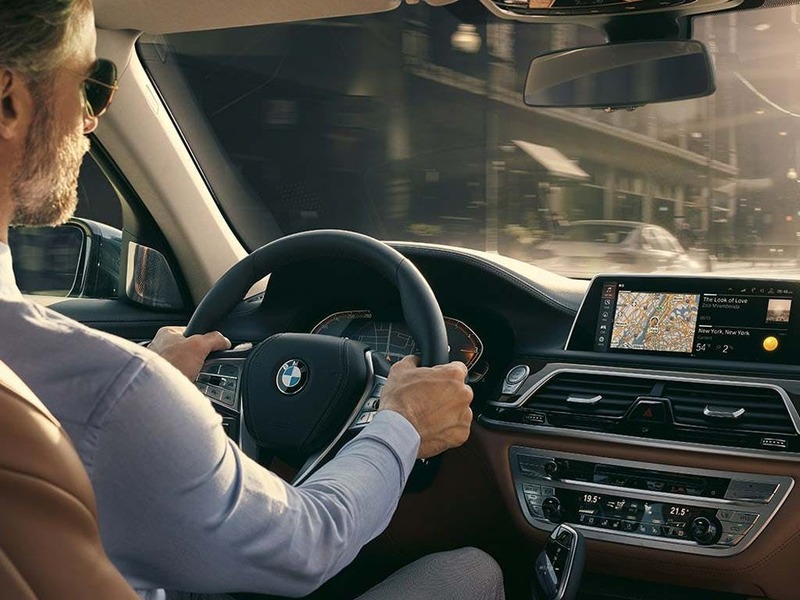 Find your next adventure with the new BMW 7 Series Saloon, one of the most convenient luxury cars around. Satisfaction comes naturally with the new BMW 7 Series Saloon. From fuel efficient engines to power packed beasts, the 7 Series Saloon will leave you wanting more. Staying true to the BMW name, the 730d Exclusive engine sprints from 0-62mph in a mere 6.1 seconds, yet it still provides an impressive 62.8mpg. If you’re looking for a top-class racing engine, the 750i has a top speed of 155mph with an incredible 0-62mph time of an astounding 4.7 seconds. Almost 10 years in research and development, the new BMW 7 Series Saloon is innovative in every way. Journey's don’t have to be boring with the 7 Series Saloon. A range of gadgets will fulfil your every need while on the go. 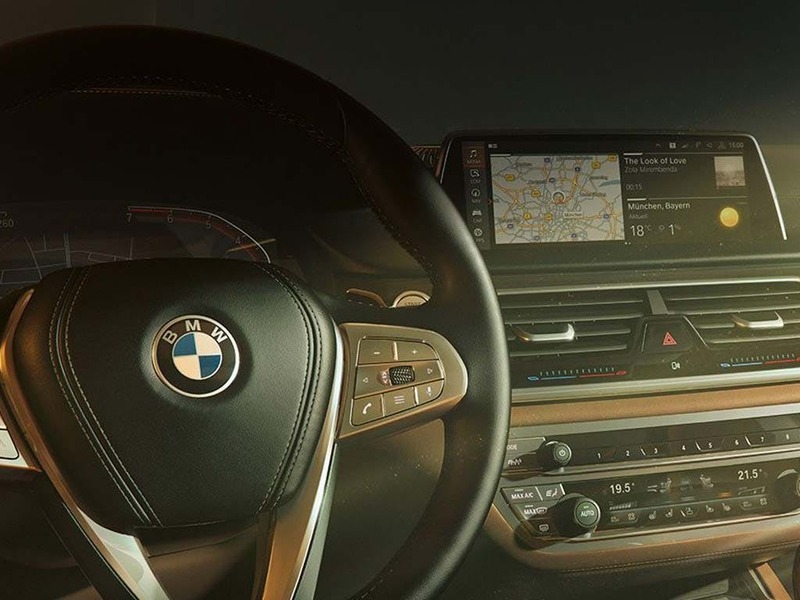 Gesture control lets you operate the BMW iDrive system with the wave of a hand, leaving you in full control of audio, navigation and phone calls. Passengers don’t have to miss out either. 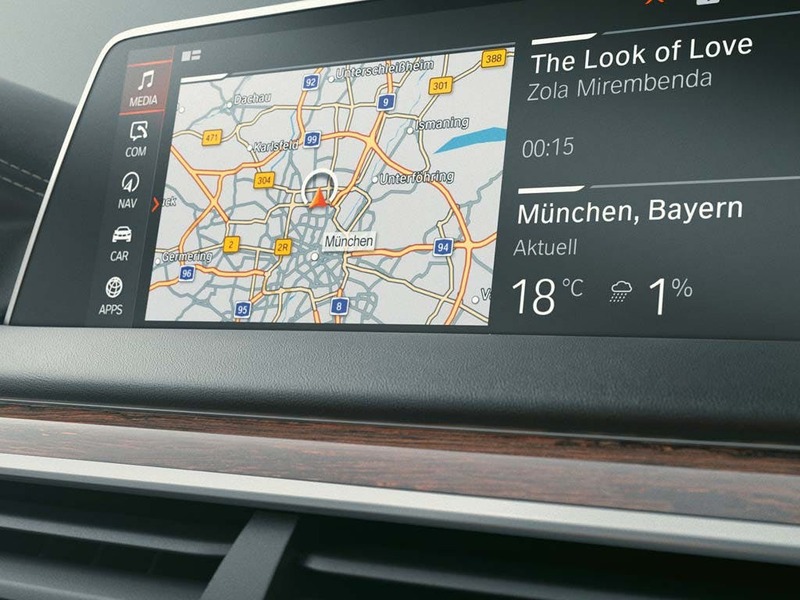 BMW Touch Command tablet featuring a 7-inch display provides passengers with control over entertainment features. 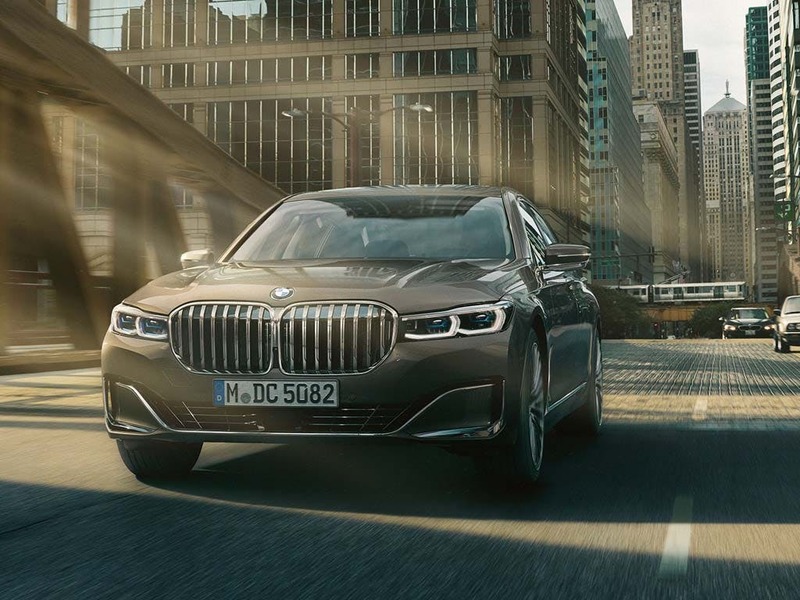 Enter a world like no other with the new BMW 7 Series Saloon. Visit your local BMW dealership in Bedford, Brighton, Borehamwood, Cambridge, Farnborough, Hailsham, Hindhead, Kentish Town, Ruislip, Stansted, Watford and Worthing for more information. of Barons And Chandlers BMW customers that bought an BMW 7 Series Saloon would recommend to their friends and family. I'd recommend Chandlers BMW Worthing to a friend because they’re knowledgable, enthusiastic and I trust them. I'd recommend Barons BMW Cambridge to a friend because throughout the negotiations the sales Executive James Darcy acted in a very professional manner explaining all the aspects of financing the deal, plus all the extra that were available. Aidan Smith the Product Genius was excellent in his explanation of how the the various aspects of the car worked and has invited me back after 4 weeks to explain the advanced settings etc. Excellent service and a beautiful car. 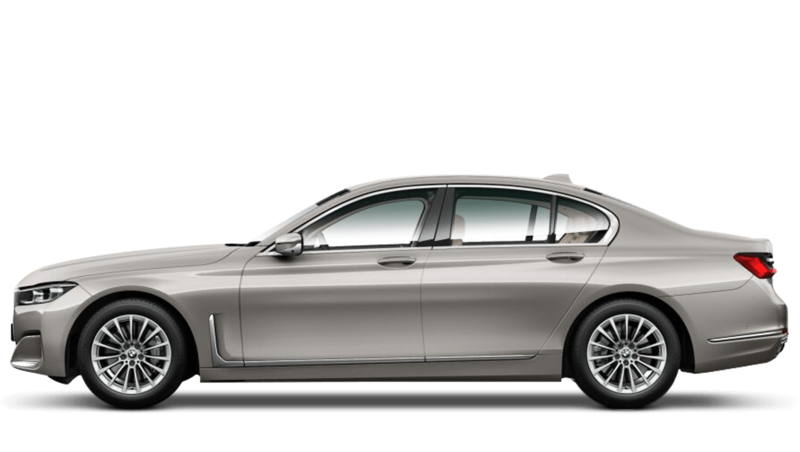 Explore the 7 Series Saloon specifications.